TGR990 from CASSIDIAN is an advanced and versatile TETRA mobile radio, gateway and repeater. It is designed for reliable voice and data communication in the demanding working environments of public safety and emergency services. We are a trusted name in the industry for manufacturing and supplying Industrial Two Way Communication System. The offered product is highly regarded for its unparalleled features and durability. Base is an integrated link aggregation and H.264 decoding solution for video broadcasts transmitted over the Teradek Link or Bond. As an alternative to an Amazon EC2 instance or building your own Linux server, Base de-bonds and decodes your video feed from a single rack mount server with an HD-SDI output. - 4 Programmable buttons provide users convenient access to the most frequently used functions. 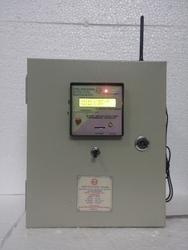 - LED status indicator allows clear indication of radio's operating status. 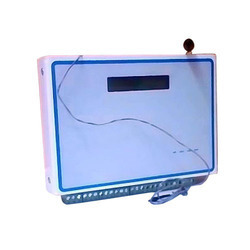 - 8 Character Alphanumeric display allows quick identification of radio status and identifies incoming calls. Restaurant calling system is a wireless solution to call waiters with the press of a button. Firstly, every dining tables have a remote controller. On press of call button, respective number displays on the receiver console. However, it is possible to simultaneous displays in a restaurant or cafeÃÂ¢Ã¯Â¿Â½Ã¯Â¿Â½. Wireless communication involves the transmission of information over a distance without help of wires, cables or any other forms of electrical conductors.